"All societies must deal with the possibility of violence, and they do so in different ways. 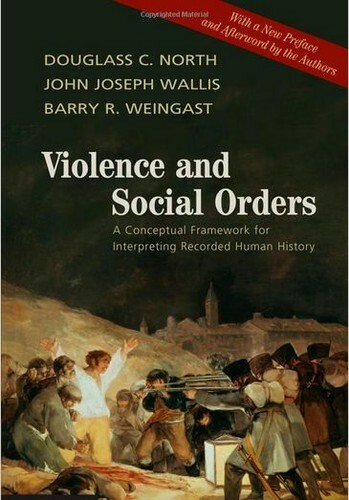 This book integrates the problem of violence into a larger social science and historical framework, showing how economic and political behavior are closely linked. Most societies, which we call natural states, limit violence by political manipulation of the economy to create privileged interests. These privileges limit the use of violence by powerful individuals, but doing so hinders both economic and political development. In contrast, modern societies create open access to economic and political organizations, fostering political and economic competition. The book provides a framework for understanding the two types of social orders, why open access societies are both politically and economically more developed, and how some 25 countries have made the transition between the two types." Desculpem o inglês. Penso que ainda não há tradução para português.